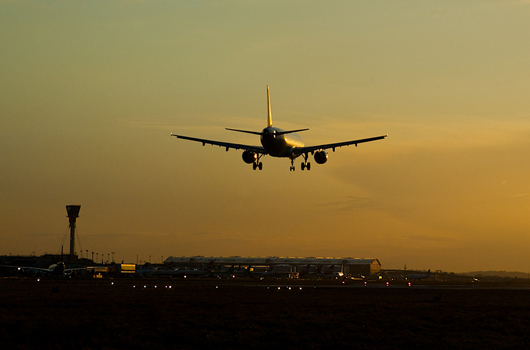 Ricardo Energy & Environment is working with Heathrow Airport Ltd to monitor airborne black carbon in efforts to enhance the airport network’s understanding of atmospheric particulate matter and guide air quality policy in the region. The new detection system, implemented by Heathrow Airport Ltd with the support of air quality specialists from Ricardo Energy & Environment, provides real time measurements of the proportion of black carbon produced by combustion. The project is the first of its kind outside of UK government-operated networks and will provide a greater depth of understanding for researchers and policy makers to develop the best informed policies for air quality control across London and the wider area. Black carbon contributes to atmospheric warming by reducing albedo - the ability of the earth to reflect sunlight - when it deposits on snow and ice. There are currently no European or UK mandated limits or recommended targets that regulate concentrations of black carbon and just 13 monitoring stations operate in the UK Department for Environment, Food and Rural Affairs (Defra) networks. With the deployment of the new monitoring system, Heathrow Airport Ltd now undertakes measurements of black carbon at two additional locations within its network. The newly installed analyzers are modified versions of those employed by Defra, with enhanced analytical capacity for near instantaneous particle characterization. Black carbon measurements from the network’s Oaks Road and Heathrow LHR2 stations are now available to view in near-real-time on the Heathrow Airwatch Website. Ricardo Energy & Environment is a leading environmental consultancy with over 40 years’ experience helping public and private sector organizations solve air and environmental quality challenges at business, citywide, regional and national levels. On behalf of Defra, Ricardo Energy & Environment delivers quality assurance and quality control services to the UK’s largest air quality monitoring network, the Automatic Urban and Rural Network.